Another Goose Joinery Installation complete. Located in the heart of the Cotswolds we have supplied and installed Rationel windows and doors throughout, finished in moss grey and basalt grey externally and clear lacquer inside. 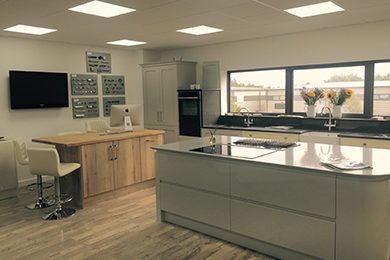 Our new showroom is almost complete, windows and doors installed, all clean and ready for flooring ….. watch this space …..